Stories about growing up, fighting your parents, discovering love and finding your feet in life. The winter of 1961 was cold and snowy, although no one could have known how much worse the next one would be. There had been snow since early January. On the pavements dirty snow was piled up and the roads looked dark and slick. It felt as if it had been cold for ever, there had never been any summer. Darkness came earlier than usual, so that the snowy front lawns were lit orange by the street lamps. At fourteen years of age Keith Golder looked ridiculous smoking a cigarette, yet he felt like a pop star with his upturned collar and Elvis Presley hair. He scooted his bicycle down the side entrance of the newly built semi into which his family had recently moved. He flicked his cigarette casually away, just as he’d seen them do in the movies, except that he fumbled it slightly and had to make an emergency stop to retrieve the glowing embers from his jeans turn-up. No swearing followed, because Keith was fully occupied shaking his burnt fingers in the icy darkness. Leaving his bicycle in the little shed at the back, he yanked open the sticking back door to the kitchen and felt his young body relax as the warm fug enveloped him. He struggled out of his steaming coat and hung it on the pantry door handle. He was aware that his father had just pattered over the lino in his threadbare carpet slippers. ‘Hi, Dad.’ Keith struck a pose for no one in particular and gave a lopsided smile, rather like a sneer, which was very fashionable for the time. ‘You’re spending a lot of time with that Harding girl.’ Keith’s dad peered at him over his reading glasses, which consisted as much of Elastoplast as of any optical materials. It crossed Keith’s mind to say, ‘What of it?’, which would be suitably rebellious, but he knew better. Keith’s heart sank and a host of objections swam into his mind, not least the freezing cold involved in working on a van which was open at the back. His father went on, raising his right hand to ward off any argument, though Keith thought he looked like a retired traffic policeman, standing like that against the kitchen sink. To read the rest of the story buy Top of the Sixties. This story is featured in an interview with David Ayres on Sunday 30 June at the Mitre Pub. Four Beeches Comprehensive School had not been a comfortable place for Alastair. In his first year as a Biology teacher, he frequently felt like running out of the staff room. He was a square peg. He did not drink beer, he did not watch football or cricket, he had never been drunk in his life and he did not make lewd remarks to the ladies. The other male teachers would sit in a cluster in the old staff-room armchairs, their legs draped over the sides, and talk and laugh so loudly that all other conversation was drowned out. The other probationary teachers had quickly found their feet in the staff-room freemasonry and seemed casual and at ease among their senior colleagues. They would make high-pitched noises, whistles and clicks when a lady member of staff bent over a low coffee table and would go positively amok when the lovely Miss Daphne Lionel made an appearance, lighting up the dowdy room, the overloaded cork notice boards, the puddled coffee tables, the paper-strewn window sill. Daphne, a schoolteacher version of Natalie Wood, was the object of most of the men’s fancies. Neither did the sixth-form boys fail to follow her swaying hips with their eyes, as she made her way down the Marley-tiled corridors. She was a lively and popular young English teacher, surrounded by pupils during break time and by colleagues in the staff room. So how did that most unlikely of men, Alastair Humphreys, come to be in her company? This was a man that some senior pupils snorted at in contempt, that staff watched out of the corner of their eye and then smirked about to each other. He could never find a chair to sit on in the staff room, his name was on no rotas or lists for table tennis or the weekly general knowledge quiz. He would stand awkwardly, endlessly stirring his mug of tea and searching the sea of heads for someone to chat to. It was a dreamy summer’s day. One of those days when anything could happen. It was a day on which older people sat dozing, dogs lay sprawled in doorways and the only sound was the murmuring of flies. The air was as heavy as syrup. It smelt of dry grass, lawn cuttings and rose bushes. The heat shimmered over the rooftops of Redhouse council estate. The streets were quiet. There was no traffic. No one seemed to want to go anywhere. But if you listened very carefully, you could hear voices coming from the side entrance of one of the redbrick semis. The voices were shrill and excited and there was a rattling of bicycles being moved from their resting place against the shady wall. Those were boys’ voices, boys who wanted to be on the move, who wanted to feel the warm air blowing in their faces and through their clothes. The boys had grown impatient as, one by one, the grown-ups had dozed off, their heads on one side, a newspaper in their lap, the football commentator muttering softly as Sportsview with Peter Dimmock heated the little television sets. They pushed their bikes to the wrought-iron garden gate and heard it clatter shut on its spring as they swung their legs over the saddles and pushed down on the pedals. The little gardens swished by. The boys did not speak, but now and then the one at the front would look round and smile. On the main Walsall Road it was strictly single file and all the tomfoolery had to stop. The boys felt the hot draught from passing buses, motorbikes with sidecars and lorries whining in low gear, struggling with sacks of coal. Col watched his friend Graham’s legs pumping up and down like pistons, his short trousers flapping, one sock up and one sock down. Col was jealous of his friend’s bike with its many cogs and gears and its fancy drinking bottle on the handlebars. But he liked Graham, whose dad was a charge hand and therefore quite posh. Col’s dad was a drayman who rolled barrels about. He had big muscles but quite a small pay packet. Graham’s dad wore a cow gown over a shirt and tie. Col’s dad wore a vest and a flat cap. After they had turned right off the main road and were heading towards Rushall, Graham saw Col take a packet of cigarettes from his trouser pocket and expertly tap one, filter first, into his mouth. Then, riding with no hands, he cupped his hands to his mouth and lit up. Graham caught a whiff of Park Drive. He wondered whether Col had forgotten him but didn’t care too much. He didn’t like smoking. He liked Colin because he knew about things, he was wise beyond his years and had the kind of canny smile which made him look much older. He sometimes patted Graham on the shoulder and called him ‘old son’. He wasn’t sure why Colin liked him, though. Colin was a popular boy and could go on a bike ride with lots of other people. Not that Graham was a loner, in fact people liked him, but for a different reason. Graham was a sensitive boy who read a lot and watched Robinson Crusoe on television. He was far less rugged than Colin but he had a growing lanky grace about him. Colin was destined to be a thickset man in later years but for the time being, at eleven years of age, he just seemed a tough guy to Graham. They both cycled as close to the verge as they could, so as to let the grass stroke their calves and knees as they rode. Col would actually cycle onto the grass and stick his knees out in a bow-legged kind of way to make Graham laugh. Graham rode up alongside him, because the road was deserted, and roared with laughter to see him pull a face like a chimp with the cigarette pointing upwards towards his nostrils. When they stopped, it was as if an unseen signal had been given, it just happened. Colin jumped off his bike and dropped it flat in the grass, announcing that he needed what he called ‘a slash’. Graham assumed he would walk off to a private place to be hidden from view but no, Colin simply turned his back and asked Graham, ‘What do you want to be when you grow up?’ Fascinated, Graham watched the pale amber stream spring forth from Colin and patter into the grass, causing a cloud of midges to rise into the sunlight. ‘Don’t know. I think I’d like to be a spaceman. I’d like to go to Mars.’ Graham half-hoped Col would turn before he tucked himself in, just out of curiosity, but he didn’t. They remounted and rode on without a word, until Linley Wood appeared ahead on their right. When they reached the wood, they dismounted and walked with their bikes into the green twilight. It was like a cathedral with a tall, green vault that filtered the sunlight and let it fall in a sparkling mosaic on the cracked clay floor. They trod softly and spoke in a whisper, looking around them in awe. It was cool and silent. The woodland path was well worn and ran up and downhill, past huge fallen trunks, thickets of holly and tall tangles of briar. ‘There’s a field ahead where we can rest,’ whispered Col, although neither of them felt weary. Sometimes resting seems to children to be something they ought to do, because it’s what adults do. Resting can seem quite grown up. ‘Sounds bloody boring to me,’ laughed Col, breaking off a stalk which he used to poke Graham in the throat. Graham leaned forward and pinned his friend down by the shoulders but his arms gave way and he fell on top of him. They looked at each other, as the laughing stopped quite abruptly. They stayed in that position for several seconds, motionless. The conversation stalled, as they looked at each other, wondering what came next. Even time seemed to hold its breath. Graham was quite surprised at some of the things going through his head. ‘Do you want to go yet?’ asked Col.
Long into the golden afternoon they sat, as the world rolled slowly into dusk. Graham had taken his shirt off and had spread it under him. When at length he stood up on tiptoe, trying to see above the ocean of corn, Col watched him appraisingly. He took in the square, knobbly shoulders and straight, white back. He realised he was lost for words, so he said nothing. When Graham sat down again, Col patted him on the shoulder and then withdrew his hand as if burnt, finding his friend’s skin was surprisingly warm, although the afternoon had grown cooler. ‘Do you want to go back now, old son?’ asked Col, watching Graham, now on his feet again, struggling with his shirt. He realised his voice had caught slightly and he cleared his throat softly. ‘I think we should,’ Graham smiled down at his friend, with the odd realisation that he was somehow in control at this moment. Was it just because he was standing and Col was still sitting? No, it was something else, something he was quite unable to put into thoughts, let alone words. He held out his hand and Colin took it. Graham pulled him up to his feet. They stood and faced each other, their faces lit by the low sun, the endless corn stretching away in every direction. They cycled home in silence, their strange, long shadows running ahead of them. No word was exchanged but now and then they would ride side by side and smile at each other, both aware that a bridge had been crossed and that they had taken several steps on their passage to the future and into the awareness of manhood. Did you like this story? Well, buy Top of the Sixties to read all fourteem stories. Top of the Sixties written by David Ayres celebrates the delightful world with the firm belief in progress, new youth culture and boundless optimism, things that define the 1960s. In fourteen stories David re-creates a world that has been lost, when people, especially the young, felt so cutting edge, but looking back they actually turn out to be rather naive. In A Sack of Spuds we meet fruit and veg man Mr Davies doing his rounds through the neighbourhoods and his young helper Keith, a typical teenager. Cherry, The Latin Girl, with a bob that is very Cilla Black, gives Glyn his first taste of love and Awakening is a touching tale about growing up. Well, we all know a Drama Queen of course, find out what this one is up to. ‘Who are you?’ sang The Who and this is what Alastair, an unassuming teacher at Four Beeches Comprehensive School, is about to discover, but will he triumph? ‘Raymond wasn’t bored. He was never bored, it was just that sometimes he couldn’t find anything to do.’ Until he meets a Romany. Baz, it’s Barry actually but don’t tell anyone, and crispy bacon don’t see eye to eye but you will have to read the story to get to the bottom of it. Keith is still working for the fruit and veg man when they are approaching Old Scott Farm, their next stop, though Keith is baffled why they stop at all as Mrs Roddick never buys a thing. In the next story Leon finds Something for the Weekend as he tries to impress a certain person with the ‘Aftermath’, the newly released LP by The Rolling Stones. Neil is a Mod, whereas John feels he is some sort of Rocker but what changes on their way to Wetton Mill? We all know what happened to the people who stayed in the band that became famous but what will be Fret’s destiny after making a decision between staying in the band or opting for the day job? Ah, a teenager’s bedroom! ‘At fifteen David knew absolutely everything there was to know about absolutely everything (He knew all the words to ‘Bachelor Boy’)’ but what happens when his parents announce that he is about to be taken Out of the Box? Uncle Joe was James’s hero, he was a Special Constable after all, plus he wore a cravat at his open neck, like one of his dashing heroes, Tony Britton. James is desperate to impress Uncle Joe yet it is Joe who unwittingly teaches James an important lesson. It ends with A Gift of Lilies. Keith is now a tall young man with shoulder-length hair, wearing an Afghan coat. When, by chance, he meets Mr Davies again it makes Keith smile at his own naivety and look at Mr Davies with a new kind of recognition. You can read them all in one go to get the full picture of life in a small, tightly-knit working-class town in the Midlands during the 1960s. Yet each story can just as well be read on its own, perfect, for example, to fill the time on your daily commute. 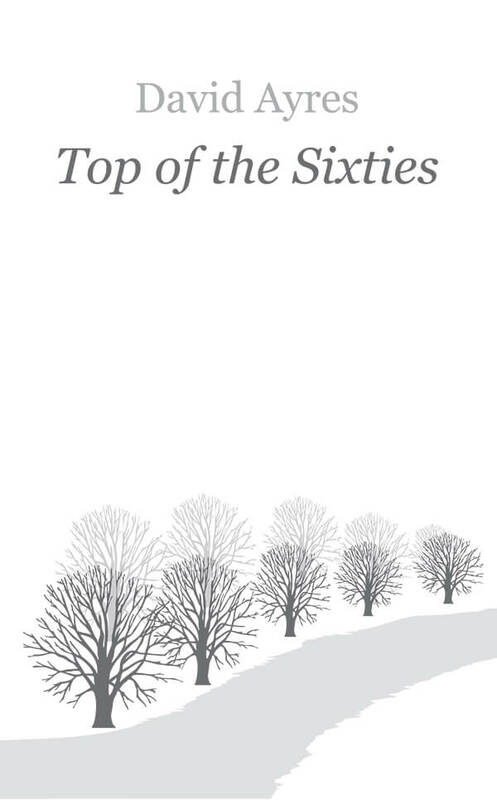 You can buy Top of the Sixties now by clicking on the ‘Buy this book’ button on this page. Your card will be debited in your local currency.